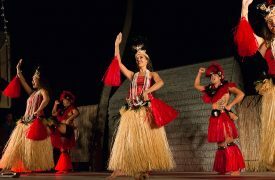 Watch this luau video from Kona Hawaii and enjoy footage of one of the best sunset dinner shows on the Big Island, presenting the legends and lore of Polynesia, with oceanfront dining and exciting dances. 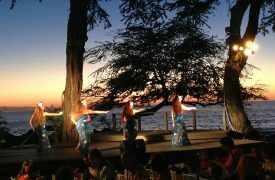 This video features the Voyagers of the Pacific Luau at the Royal Kona Resort. 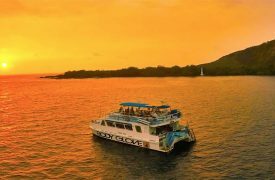 If you're visiting Kau and want to treat yourself to a good meal or delicious treat after a day of adventuring, check out these dining establishments.